Mohan and d’Orchimont are hopeful that this new technology could be impactful for carp farmers in India, for example. The global aquaculture industry—fish farming—produces 110 million tons of food, and is valued at $243 billion. Every year, fish farmers lose about $1 billion to diseases and death among their fish. With an innovative mobile application called FishMD, Jerome d’Orchimont T’19 and Nithin Mohan MEM’17 are hoping to substantially reduce those losses, especially among the many subsistence farmers in India. 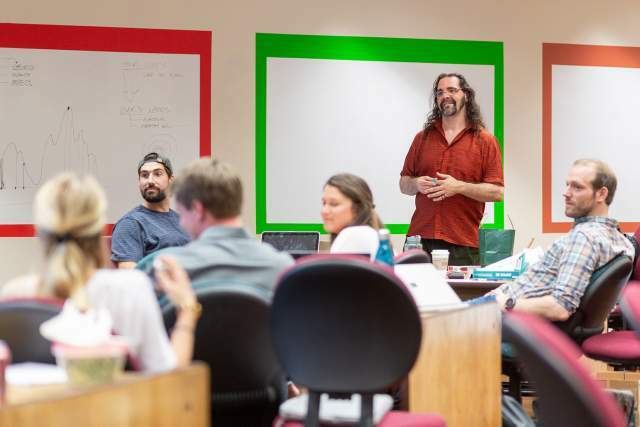 Their partnership is the story of how like-minded entrepreneurs from vastly different backgrounds can meet at Tuck and direct their energy to a world-changing business. 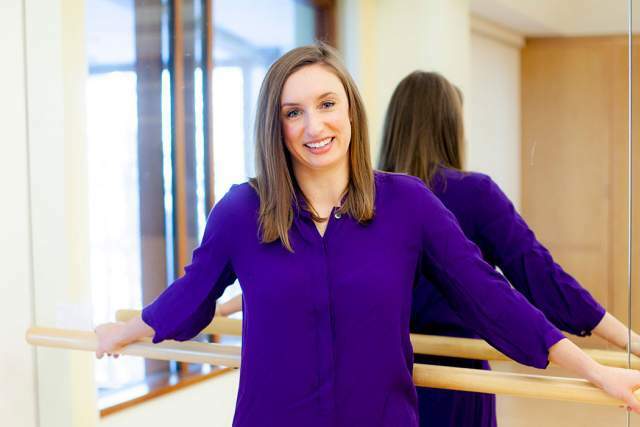 D’Orchimont was raised in New York and worked at a hedge fund in the U.K. before coming to Tuck. Mohan hales from India, where his father is a veterinarian who travels long distances to treat diseased farm fish. They met in the fall of 2017 during the Building Entrepreneurial Ventures course. At that time, Mohan had begun working on artificial intelligence technology that could accurately diagnose illnesses in goldfish through photographic analysis. D’Orchimont, who had come to Tuck to pivot into a career with an early-stage company focused on sustainability in the agriculture industry, was keen to help Mohan turn his technology into a business. They got off to a good start, receiving grants through Thayer School of Engineering and the National Science Foundation for technology development and customer discovery. This financial support allowed them to develop a minimum viable product and test its accuracy. The AI software has achieved an 80-percent accuracy rate in diagnosing illness, which was better than a sample of veterinarians using their eyes. Some of these illnesses could destroy an entire farm, so we’re trying to prevent these smaller farmers from having a catastrophic event that could put them out of business. I think this could have material impacts on many lives. The pair has used this time to think about market sizing, competitor analysis, customer interviews, and to choose a geographic area to focus on. They recently completed version 1 of both their iOS and android applications and are currently making improvements based on users’ feedback. 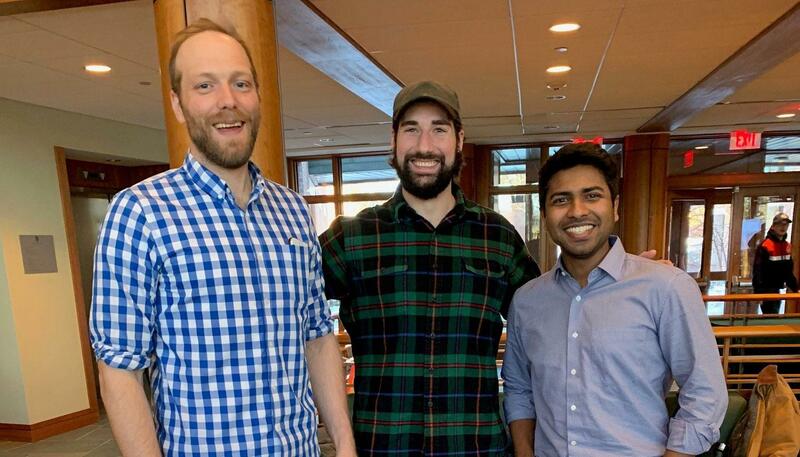 Last spring, d’Orchimont (center) and Mohan (right) applied and were selected for Tuck’s new Startup Incubator, a co-curricular program organized by the Center for Entrepreneurship.